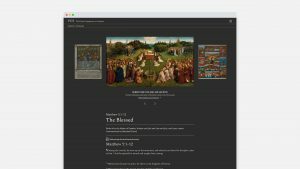 The Visual Commentary on Scripture, TheVCS.org, is the first significant online project to introduce (or re-introduce) visitors to Biblical scripture in the company of art and artists. Celebrated with a launch event in November 2018 at Tate Modern, symbolically overlooking the magnificent dome of St Paul’s Cathedral, TheVCS.org is a one-of-a-kind resource for educators, scholars and readers looking for insightful, original explorations of art and the Bible. 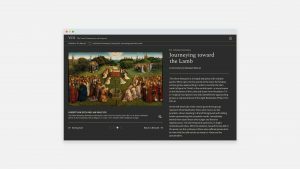 In partnership with King’s College London, Cogapp were commissioned to design and build this pioneering online destination for reflection, contemplation and deep thought. 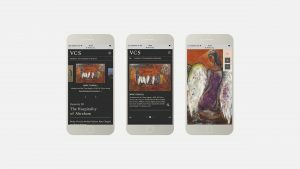 The VCS is a carefully curated online exhibition space in which to learn and reflect. 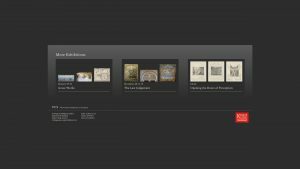 Eventually, the aim is for the Exhibitions in The VCS to cover the entire Bible. Next PostNext Museum ExplorAR: immersive augmented reality experience at National Museum Cardiff.